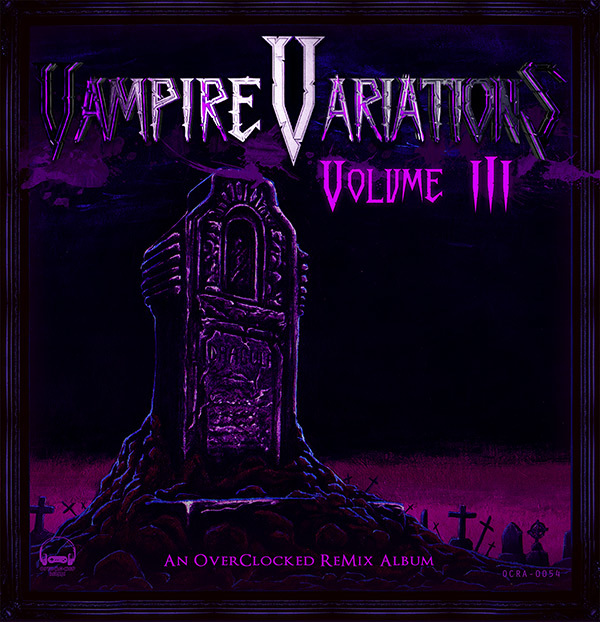 Inspired by Masanori Adachi and Taro Kudo's soundtrack to Super Castlevania IV (released for the SNES in 1991), Vampire Variations: Volume III is the 54th FREE community arrangement album from OverClocked ReMix. It features twenty-four arrangements from twenty-three artists in a variety of musical genres with orchestral elements, and was published on October 31st, 2015. 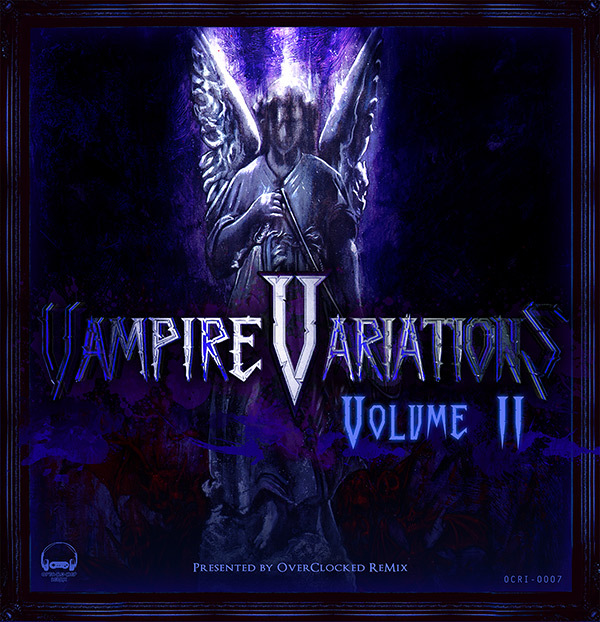 Accompanying this third and final volume are re-released versions of Vampire Variations: Volumes I & II, featuring arrangements of the original Castlevania for the NES, Rondo of Blood for the PC Engine CD and Bloodlines for the Sega Genesis, including brand new artwork for all three volumes by Andrew Warwick. This is the end of a grand adventure. Looking back five years ago, I didn't expect I would end up finishing an album trilogy in 2015. I wasn't a posted remixer and not well-known in the VGM scene, and I know I improved a lot since. 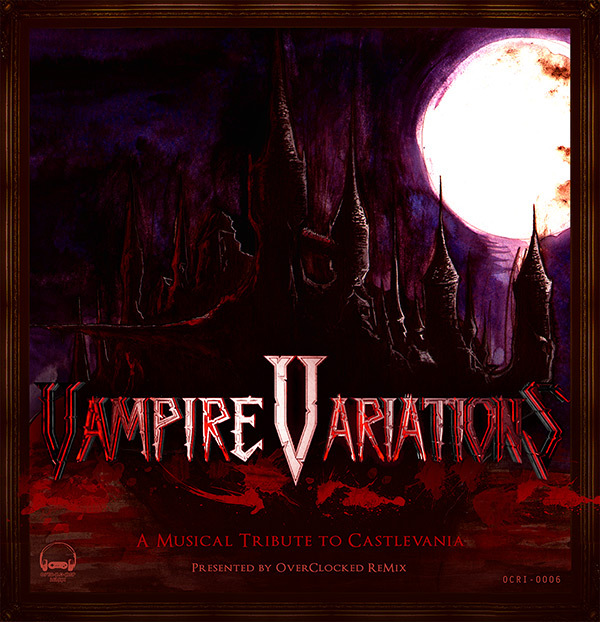 It started all out as a simple tribute to Castlevania's 25th anniversary, and we're now celebrating its 30th with the final volume of the Vampire Variations trilogy. Once again, Dracula rises as humans wish to pay him tribute. This last album's production started after several people encouraged me to do it. Plus, when you already have two albums out, you cannot quit before doing a third one. After thinking about which game we should cover, and discussing it with djpretzel himself, I decided to choose Super Castlevania IV for its classic, yet under-remixed soundtrack. As the final volume had to be the most epic, I also decided that all tracks should feature orchestra instruments in order to create a somewhat cinematic experience. I cannot thank enough all the artists who helped me and dedicated their time to create those albums. I truly hope we have been able to do justice to the Castlevania series with this trilogy, and that people will appreciate our hard work. I am far from being good at writing such notes, so I'll keep it short: enjoy, and thank you for everything. 2-07 - Dracula Is Our Vampire!